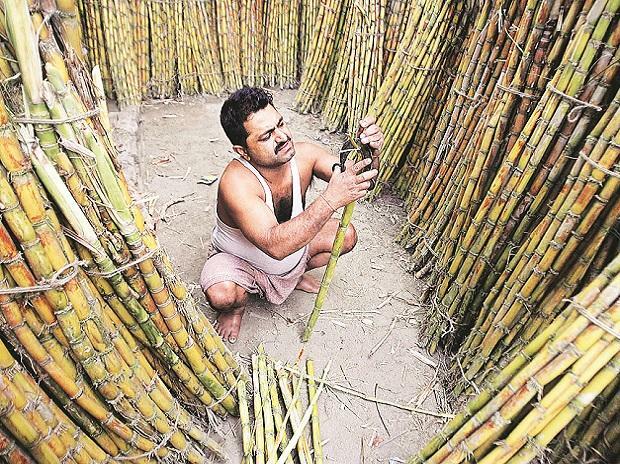 Fifty million sugarcane farmers, 5,00,000 mill workers and many others involved in ancillary activities are affected by Sugar industry’s ever-fluctuating fortunes. The story remains the same, as Chart 1 bears out. With each bumper harvest, the stock of sugar grows far in excess of domestic consumption. This is what has happened over the last sugar season (2016-17) and the current one (2017-18); the situation is expected to worsen in the next (2018-19). With international prices also plummeting, as shown by Chart 2, thus ruling out exports as a remedy, the sharp fall in domestic market prices, as shown in Chart 3, meant that farmers ended up facing an all-time high of Rs 220 billion in unpaid arrears from the millers. The government has introduced a buffer stock of 3 million tonnes but even then, next season’s opening stock is likely to be almost double of this year’s. The key problem is that there is no link between the market prices of the final product (sugar and its by-products) and the administered minimum prices for the input (sugarcane). Both, the Fair and Remunerative Price (FRP), announced by the Central government, and the State Advised Price (SAP), are far in excess of what market would dictate. Chart 4 shows how FRP and SAP raise the cost of production. Chart 5 shows how rapidly the FRP has grown over the years — the SAPs tend to be higher still. The government has set new minimum procurement price for farmers at Rs 29 a kg. But even this is higher than the market price for sugar. As such, the mismatch continues. Lastly, the government has raised the target for ethanol blending from 5 per cent to 10. But, as Chart 6 shows, the actual blending achieved in 2016-17 was just 4.3 per cent. StatsGuru is a weekly feature. Every Monday, Business Standard guides you through the numbers you need to know to make sense of the headlines; Compiled by BS Research Bureau.